Daughters was a touring show that grew from a workshop given by Nimble Fish and Katherine May as a precursor to their Re-Authoring Project, which aims to help writers to lift their work from the page and into… whatever dimension they can! 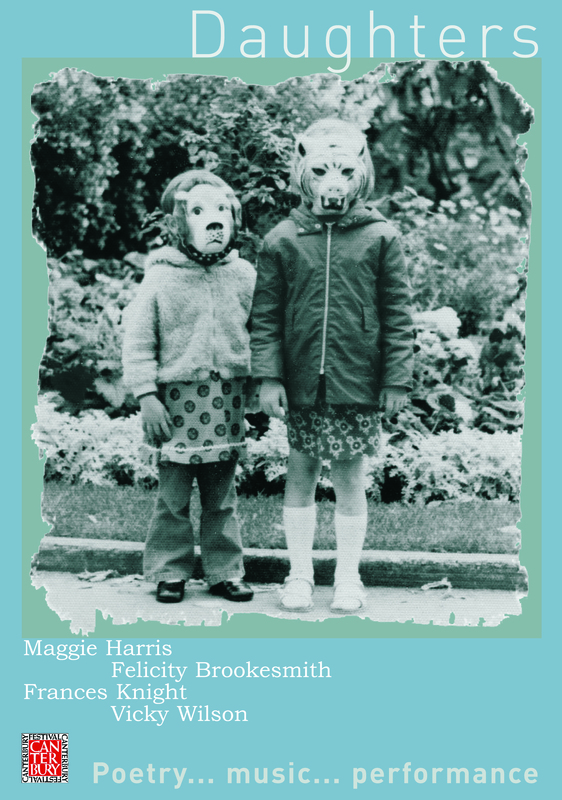 So poet Maggie Harris and I got together with poet Felicity Brookesmith, poet-musician Frances Knight, musician Cathy Richards and dancer Aimee Watmore and thought of ways we could re-animate work we had written about being a mother and/or a daughter. Maggie used dance, music, props and more; Frances interspersed fragments of poetry with her own piano accompaniment; I used family photographs – as well as performing my poems rather than reading them; Felicity introduced a mix of music and props; and Cathy provided accompaniment. We also made postcards with evocative images like the one on the poster and encouraged the audience to write their own pieces during the interval which they could share at the end of the show if they wished. I saw your show at Tom Thumbs Theatre and i read a poem, on the beautiful stage, about my daughter at the end of the show. This has inspired me to do the same thing in Sweden, where I live. So, many many thanks for your important and poetic show. I shall tell the swedish audience about the show at Tom Thumbs, it was fantastic! Yours sincerly Jennifer Ashbourne, Sweden.